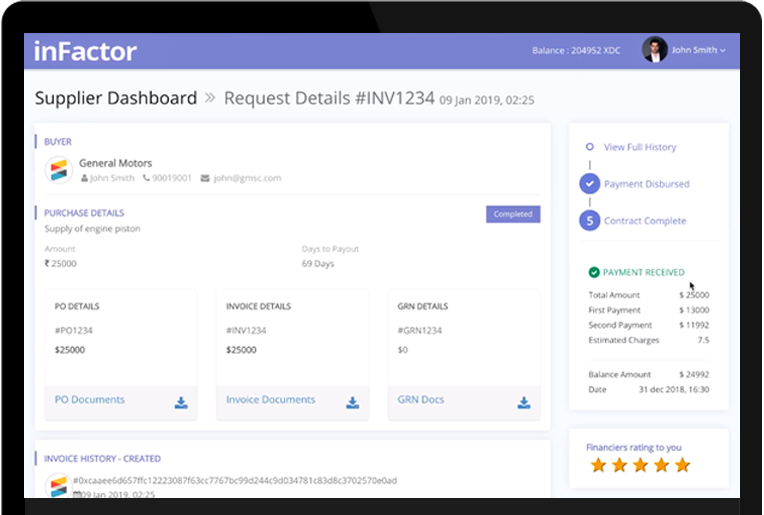 Factoring your unpaid invoices becomes easy, transparent and secure using blockchain technology. Create Interoperable State & get access to wide financial ecosystem. Get more financing options to your unpaid invoice!! Leverage power of the blockchain and make your financial instruments liquid and interoperable. Invoice Factoring is built on ISO 20022 Standard, the interoperable messaging standard for private and hybrid state. Easy integration with a click. Easy plugin available for QuickBooks users. Connect to your financier in a whole new way. Get access to more financing options. Automate repayment and settlement cycle using the power of blockchain. Invoice Factoring is an accepted form of working capital management solution. It does so by converting your unpaid invoices to cash. Invoice Factoring allows companies to instantly receive cash, customers to live by friendly payment terms and investors (the factor) to earn some profits in terms of fee. 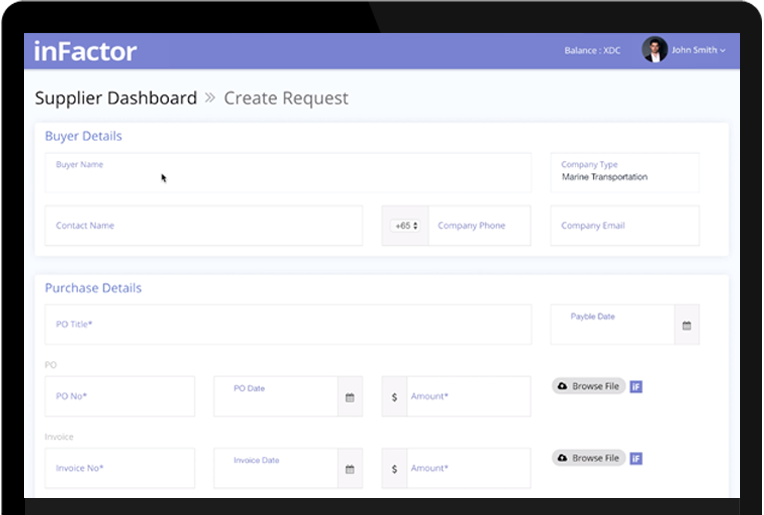 InFactor is a platform for factoring Trade Instruments, mainly invoices. 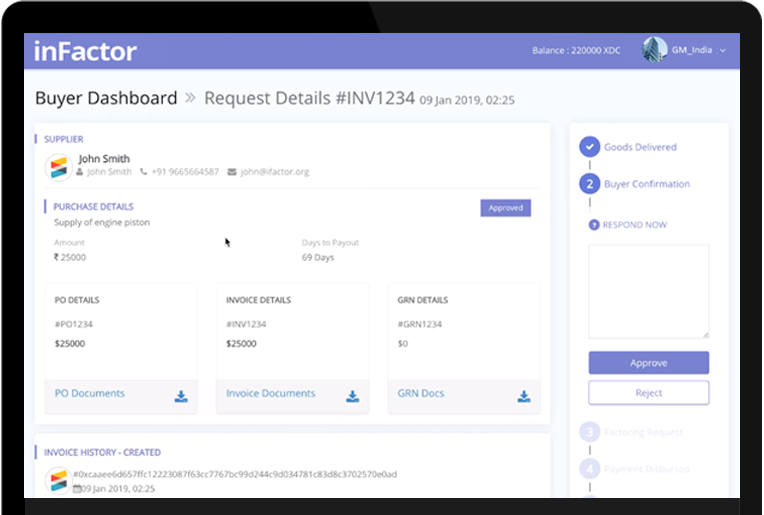 Built in XDC Wallet and smart contracts make invoice factoring easier, transparent, and secure. 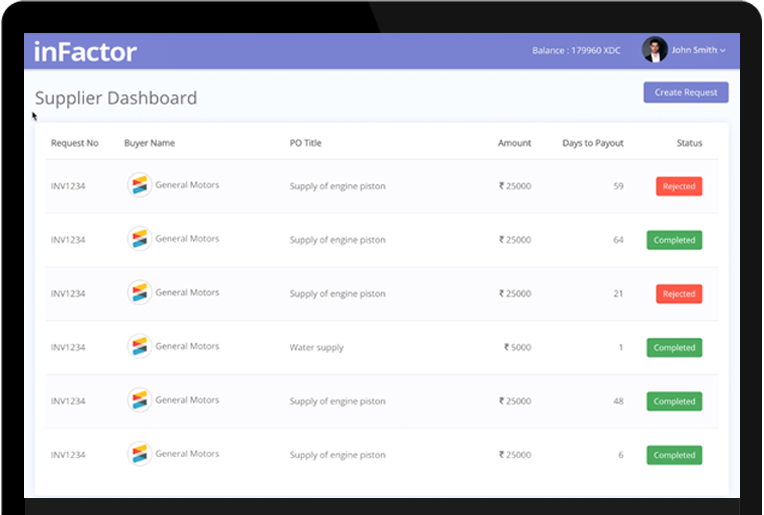 Connect to financiers in a whole new effective and efficient way.